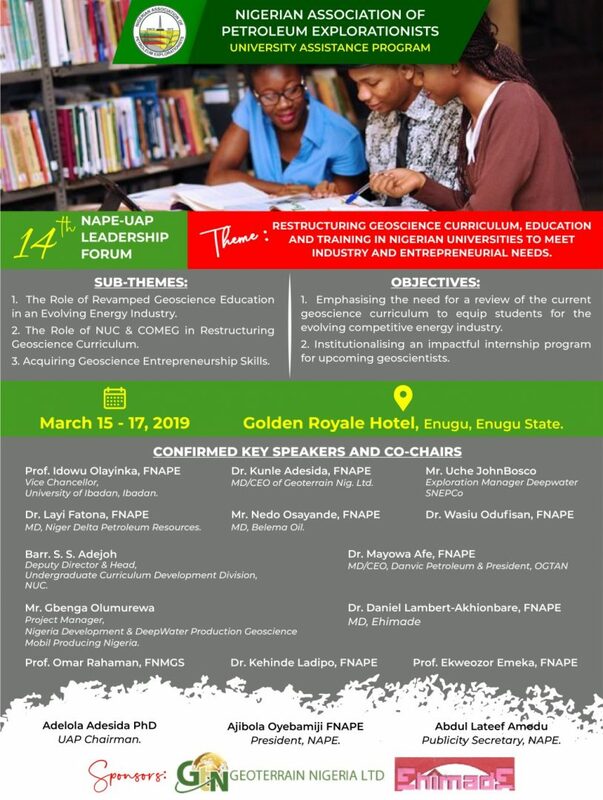 The 14th NAPE – University Assistance Program was held March 15 – 17, 2019 at the Golden Royale Hotel, Enugu, Enugu State. The theme was : “Restructuring Geoscience Curriculum, Education & Training in Nigerian Universities to meet Industry & Entrepreneurial Needs”. The 2019 NAPE UAP Leadership Forum was structured to achieve two key objectives – emphasizing the need for a robust review of current geoscience curriculum to equip students in Nigerian institutions for the evolving competitive energy industry and institutionalizing an impactful internship program for upcoming geoscientists.